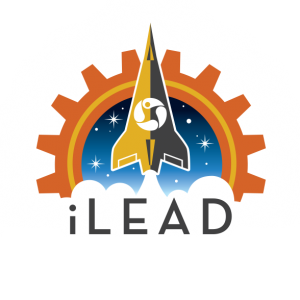 It’s 21 days until the rocket launch, and the iLEAD DreamUp 2018 Launch Team’s dreams are becoming a reality. 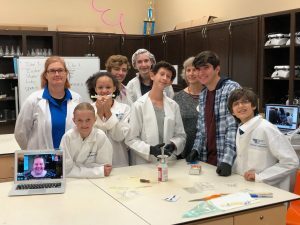 Brayden Hall, Connor Raskin, Adam Simpson, Luke Rigdon, Chaya Rubinstein, Isobel Salters, Skyler Verkouteren, Sophie Muncie, Olivia Rothenberg, Fintan Harwood, and Kallie Verkouteren are 5th-11th grade learners who speak fluently about microgravity, bacteria, and the experiment where they hope to find out whether or not coffee kills bacteria in microgravity, as it does on Earth. On Wednesday, Nov. 7, the reality of this real-world, hands-on experiment hit as the students met in their biology lab at Santa Clarita Valley international (SCVi) Charter High School with their STEAM Facilitator, Ingrid Moon, along with Dr. Renate Lux, a professor at the UCLA School of Dentistry, and live-streamed with the Mission Manager at NanoRacks LLC, the payload partner of DreamUp and NASA, Julia Wolfenbarger. The team was gathered to prepare a set of MixStix, small tubes that have airtight clamps. The bacteria is in chamber one, the hydration fluid in chamber two, and the dried coffee in chamber three. Before the livestream with NanoRacks, the team met with Dr. Lux. In addition to a practice run-through, she asked many questions such as “What are we missing?” and “What do we not know?” These questions helped lead the team to make one of the MixStix without coffee, as a control for the experiment. In total, there are three MixStix: one for the International Space Station (ISS), one staying at SCVi as a control without the coffee, and one staying at SCVi prepared the same way as the one on the ISS. 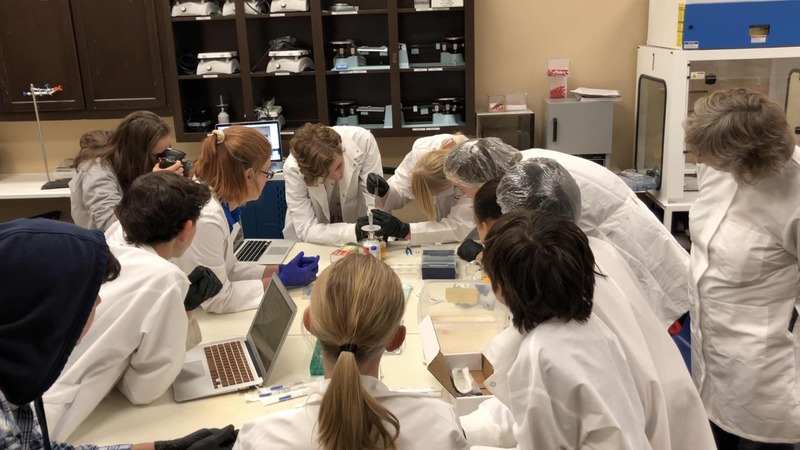 The team answered her questions and discussed with NanoRacks the order they were going to put the experiment into the MixStix chambers: the bacteria in the first chamber, then the BHI medium in the middle chamber, and the dried coffee in the last chamber. The students split into three groups with each group preparing one of the three MixStix while another student read the step-by-step directions out loud off a laptop. One tricky part of the experiment was the hole at the top of the MixStix to allow for pressure to balance. After the MixStix was packed, the students had to screw a tiny plastic screw into the top to seal the hole. If the screw was tightened too much, it would snap, and if too little, it would leak.